July 5, 2018 – BIRMINGHAM– Birmingham, Alabama company, Atlas Senior Living, and Tennessee-based Veritas Senior Living acquired East Ridge Residence, an independent living community in Chattanooga, Tenn. off 1417 North Mack Smith Road. The close date was July 2, 2018. With this joint venture, both Atlas and Veritas will be able to provide affordable but high-level living opportunities for seniors of various demographics and incomes who need senior living services. The two senior living companies will be doing a complete renovation of East Ridge Residence with both the building and landscaping. East Ridge Residence currently has 136 apartments but will grow to 144 units after the renovation work, which is expected to be completed by early 2019. “First and foremost, we are excited to join East Ridge Residence, and we are honored to help serve our residents to ensure they continue to live life on their terms,” said Scott Goldberg, CEO and President of Atlas Senior Living. 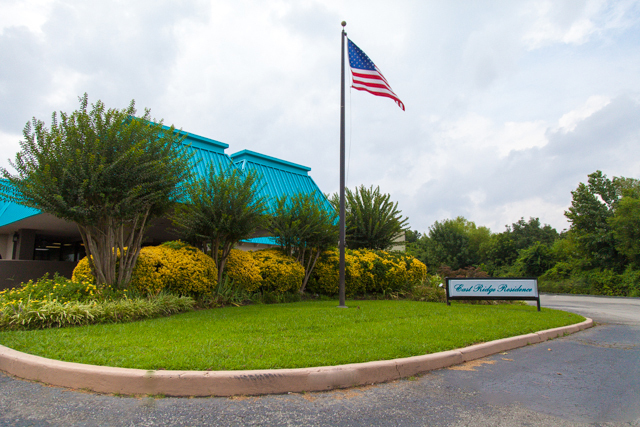 “The East Ridge Residence team is outstanding and has such a positive culture brewing. Atlas’ approach is to see how best we can merge or adjust our governing to best fit current practices. As we come in, we like to say less and listen more,” he said.